Fertilization supplements the nutrients your soil produces. 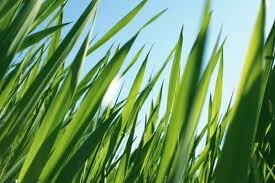 It helps make your lawn healthier, greener and more capable of withstanding adverse conditions. We apply balanced fertilizers, enriched with the proper amounts of nitrogen, phosphorus and potash, formulated for the soil conditions in your area. Effective broadleaf weed control when weather permits. Pre-emergent herbicide to control crabgrass is applied with the first two cycles of programs. Turf insecticide is applied to control chinch bugs and sod worms. Applications for turf diseases are applied in summer months as an option on our Regular program. We know your lawn's growing cycles. Selecting the proper feeding times means diagnosing your yard's current condition and anticipating its needs in the seasons to follow. By developing an annual time table for nutrition and treatment, we provide a balanced diet, cure current problems and at the same time keep next season's problems from becoming just that... problems. 732-840-4095 today or submit an inquiry on our "Contact Us" page. ©2017 Michael J. Gilmore Inc. t/a Turf Care. All rights reserved.